Our expert team examines the dynamic evolution of the Chinese economy on their blog. As trade tensions between the US and China escalate, stock markets have tumbled. From the information available so far, our assessment is summarised in the post below. Although both the US and China have announced tariffs against each other’s exports, so far they are targeting a narrow range of products that are not significant either in volume or value on either side. The United States Trade Representative is looking to propose a list of Chinese products subject to a 25% tariff in the next couple of weeks. These will include aerospace, information and communication technology, and machinery. These are sectors that involve a high level of intellectual property and are part of the sectors targeted by the Chinese government to become future technological leaders, according to its ‘Made in China 2025’ plan. The US chose to leave out goods manufactured in China and sold to US consumers (such as clothing and footwear) even though this represents around half of US imports from China. China’s response so far has been modest. The US targets tariffs on US$50 billion of Chinese imports (equivalent to 2.2% of total Chinese exports), while China unveiled retaliatory tariffs on US$3 billion of US imports (equivalent to 0.2% of US exports), on items like pork, steel pipes, fruit, and wine. Note that China is the third largest export market for the US and the largest holder of US treasuries. This response is a clear sign that China does not intend to escalate the situation into a full-scale trade war. Historically, the US has used Section 301 five times against China (not including the current one), three of which were related to intellectual property, and each time the two countries resolved their differences through negotiations. China has responded to US demands for stronger intellectual property protection previously, and has also announced it will further open up the market as part of the Premier’s work report at the recent National People’s Congress meeting. Negotiation and concession between the two countries would be our base case scenario. A worst case scenario is a full-out trade war, which will be bad for both countries and global economic growth, in which situation risk assets such as equities overall would suffer. Markets are worried about further extension of tariffs to broader categories of products. In terms of direct impact, we see technology and machinery as the most vulnerable sectors, as imports from China in certain technology hardware and machinery sectors accounts for more than 50% of the market share in the US. These are followed by certain sub-segments in consumer discretionary (such as apparel and textiles, furniture and home appliances) and metals, where China exports account for over 30% of US market share. Imports from China account for circa 18% of total US imports. UBS economists estimate a 10% tariff on all Chinese exports to the US will lead to c. 2% drop in China’s total export volume growth and 0.3-0.4% slide in China’s real GDP growth, although a full pass-through is not likely. Increases in tariffs are more likely to be borne by both manufacturers and consumers, with the impact spread through the value chain. Therefore, the end result on Chinese companies’ earnings should be less significant than headlines suggest. This is particularly the case for companies or sectors where non-Chinese substituting goods are not available in significant volumes. Again, as long as a full-blown trade war is avoided, the impact on economic growth should be fairly limited. The bear case scenario is an escalated trade war that hurts China’s growth, causing the government to react by slowing the deleveraging process, which in turn may reverse some of the benefits of the supply-side reform we have seen so far. This would be bad for affected sectors, such as materials and industrials. Offsetting measures could include an expansion in fixed asset investment. Slower economic growth may also slow down the consumer upgrade trend. On the other hand, relaxation of deleveraging, increase in household wealth and improvement in social welfare could more than offset that. The impact of a trade war on our portfolio is, likewise, limited. The majority of our holdings are domestically focused. Only one of our stocks (Johnson Electric) has more than 10% revenue exposure to the US – we are actively reviewing the position. From a portfolio level, percentage sales exposure to the US is in the low-single digits. The Chinese equity market remains an attractive one for long-term investors, although we expect the market to remain volatile in the near term given the policy uncertainties. Electric car adoption: what's driving it? As China embraces the electric car, what does this mean for consumer trends and the pace of technology? Electric cars are currently too expensive and inconvenient relative to internal combustion engine cars for mass adoption to occur. Industry analysts currently predict that the comparative cost of ownership will occur by 2023 in China, although this is accelerating and may happen sooner. While that may seem far away the implications of that cost of ownership crossover date are pertinent now. For investors, this means beginning to look for opportunities today that will add long-term value to portfolios. We think these opportunities can actually be found in non-traditional areas of the supply chain that are perhaps overlooked by the market. For the mass adoption of pure electric vehicles (EVs) to take root and consumer demand to grow, the economics need to make sense. Driving internal-combustion engine (ICE) cars is becoming more expensive due to regulatory and compliance costs. Meanwhile, the cost of electric batteries and powertrains continue to fall, contributing to an accelerating fall in the total cost of ownership of EVs. UBS recently dismantled and analysed a Chevy Bolt – the first electric vehicle available at a mass-market price point of $37,000. They found that the cost to produce an EV powertrain was less than expected. As a result, they revised down the expected date when the cost over ownership between ICE cars and EVs would cross over from 2025 to 2023. This perhaps indicates an acceleration in the cost reduction. China, the largest passenger vehicle market in the world, is perhaps set for the fastest and most significant change. For example, Geely Automotive recently announce that its Volvo brand will no longer launch pure ICE models from 2019. BAIC Motor also plans to accelerate its investment in EVs, which includes the development of battery production facilities. What’s required for mass adoption? The vehicle must be built as an EV from the ground-up on an EV-specific platform. The car must have a range of at least 200 miles. The first two requirements are linked. Only an EV-specific platform provides sufficient space to lay the required batteries in order for the vehicle to have a range of +200 miles, based on current densities. Retrofitting an ICE car has not proven successful at this. The best adopted EVs to date have been those with the best range profile. Likewise, consumers will remain wary of running out of charge before completing a journey, so will shy away from electric cars on a mass basis until a charging network is in place. To date, Tesla’s dedicated electric vehicles has best delivered both consumer requirements. It has singularly proven that the previously believed high barriers to entry to the auto industry are really not that high at all, and to an incredible reception. Indeed, more than 400,000 people have pre-ordered a vehicle that until this month has never been manufactured before, let alone test driven. That is unprecedented. This shows that consumers’ perception of EVs is changing at a time when the total cost of ownership is coming down. For traditional auto manufacturers, it will be a case of investing in facilities, R&D and margin in order to gain brand, positioning and share. In the medium term, that means margin and return dilution, all things being equal. Longer-term implications include impairment and write down risk to legacy ICE assets and investment. For the traditional auto suppliers, the size and ownership of existing profit pools will change. For example, in time the suppliers of ICE powertrains and related component parts will experience volume falls. What is perhaps most surprising, though, is that the real winners will come from outside the traditional auto supply chain. In terms of new components, UBS found the volume of semi-conductor content to be 6 times greater in an EV powertrain compared to an ICE powertrain. And lithium and cobalt, the most critical raw material for battery chemistry, will be supplied by miners. The incumbent suppliers will not only face competition for content per vehicle dollars from non-traditional component suppliers of new components; those non-traditional suppliers plan to take share using their bargaining power and position of strength. LG, for example, is a non-traditional supplier to the auto industry, which used its position as battery supplier to take share, supplying other components, too. In fact 56% of content in the Chevy Bolt was supplied by LG according to UBS. For investors wishing for exposure to EV adoption in China, one company placed to tread a similar path to LG is Shenzhen Inovance Technology. Originally a manufacturer in the industrial robot value chain, Inovance has forged an adjacent position in commercial EVs, supplying integrated controllers. The development of a recent plant in partnership with Brusa, a Swiss EV powertrain supplier, looks set to further secure its arrival as a non-traditional supplier in the EV market. Returns and margins for traditional auto companies will be increasingly diluted. Winners from the EVs, such as Inovance Technology, may be from outside the traditional auto supply chain. On 20 June 2017, MSCI announced that with effect from June 2018, 222 China A-share large cap stocks will be included in the MSCI Emerging Markets and All Country World (ACWI) indices through a two stage process. This represents a milestone in the evolution of China’s domestic equity capital markets, the second largest in the world by market capitalisation. It gives recognition to the significant progress by the Chinese authorities in the opening of their markets to foreign investors, especially through the Hong Kong and Shanghai/Shenzhen Connect schemes. This event may be easily dismissed in the short term. The initial impact on indices is likely to be small due to MSCI’s phased approach to inclusion. For example, China A-shares will represent just 0.73% of the MSCI Emerging Markets Index in 2018, due to MSCI’s partial inclusion factor of 5%. 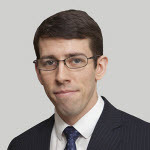 But based on over 15 years’ experience investing in Chinese and broader Asian markets, including the China A-share market, we believe dismissing the importance of this event would ignore a number of important features and benefits of the market that A-shares can bring to global and regional portfolios. China A-shares are going to be something that allocators of capital can no longer ignore. The China A-share market is highly inefficient due to the greater presence of retail investors. They make up over 80% of the daily turnover of the market and often make behavioural errors when investing, such as herding. Foreign institutional investors only hold around 1.5% of the market. This represents a unique opportunity for investors with a disciplined bottom-up process, such as our 4Factor™ process, to find great quality companies on reasonable valuations. Retail investors tend to perceive these companies as ‘too boring’, in their herd-like quest to own the next big growth stock. This stands in contrast to global markets where investors have to pay a premium for quality stocks. China A-shares can add growth and quality at a reasonable price as the market is inefficient. A-shares represent an exciting avenue for global investors to participate in the next stage of China’s growth dynamic. Although the MSCI has included only 222 companies, investors can access almost 1500 companies under the Connect programmes, particularly in fast-growing segments of the market such as consumer durables, automobiles, leisure and entertainment, consumer staples, pharmaceutical and technology sectors. Larger investment universes represent a greater opportunity to add alpha in portfolios. In the long term, A-shares have tended to exhibit greater volatility than developed markets, but correlations are significantly lower. For example, in the last five years the Shanghai and Shenzhen markets have a correlation co-efficient of approximately 0.23-0.25 to the MSCI ACWI Index versus 0.90 for the MSCI Europe Index. Of course these benefits will diminish over time as China’s capital markets open up. 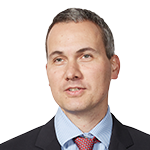 In the meantime global investors can benefit from diversification efficiencies. We believe that eventually China will achieve full inclusion e.g. 100% weighting. When it does so, China will represent a very large component of the MSCI Emerging Market index (some 37% on our estimates) and will become a unique asset class in its own right. We believe we are well placed to take advantage of this trend and that our 4Factor™ philosophy is ideally suited to this large exceptional asset class. 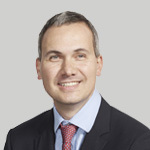 We aim to find good quality companies that are cheaply valued, with improving profitability and that the market’s behaviour is anchored in its reluctance to believe this change, while the share price is in a positive uptrend. This process, alongside a talented team of investment professionals, has driven our exemplary long-term track record in All China, Asia and emerging market equities. We believe this may prompt asset allocators to pick dedicated specialist managers who have a demonstrable track record in this area. 1 Source: Goldman Sachs estimates, 1 June 2017. Are banks in China an attractive investment again? In investment circles, Chinese banks are a divisive topic. Bearish investors distrust the book values that the banks report, as they believe non-performing loans are likely to be understated. This seems likely, they say, because headline national debt is high (over 250% to China’s GDP) with falling marginal productivity per dollar of capital spent. As banks play an outsized role as providers of capital in China, and given the high degree of government ownership of lenders, it could be plausible that reported non-performing loan levels of 1.7% are indeed understated. So, don’t be fooled by the offer of headline returns on equity (ROE) of 15%, stocks trading at a 15% discount to book value, mid-single digit price to earnings ratios and 3-5% dividend yields. “Avoid!” they warn. While we understand this argument, we believe investors need to adopt a more nuanced, bottom-up approach, and seek to uncover the good opportunities provided by the Chinese banking sector. It is important to assess each banking franchise, the strength of balance sheet and access to funding, as well as a bank’s ability to grow fees and control costs. On the credit quality side, we adopt a more pragmatic view. China is seeing an economic recovery that is becoming broad-based (it’s not just about an infrastructure investment cycle, exports and domestic consumption are also recovering). Income growth, too, is picking up and corporate profitability is improving. During the economic downturn of 2015, companies (i.e. the borrowers) have been focused on cutting costs, improving operating cashflows and cutting capex. Thus free cashflows have improved dramatically in corporate China. All of this has improved the borrowers’ ability to repay debt (and, indeed, corporate debt has fallen over the last two years) and hence we envisage non-performing loans (NPLs) being less of an issue in the future. The evidence is that NPL levels peaked in 2016 (while bearish investors may argue that reported NPL’s are too low, there is no denying that, directionally, they have been falling since the beginning of 2016). Secondly, you have to be pretty bearish on credit quality to believe that a bank such as China Construction Bank (that we currently own in the portfolios) -which earns a ROE of 15%, with a Tier 1 ratio of 13.1%, and a NPL coverage ratio of 159%,- is capital deficient. The tough lending environment of a few years ago has made management teams more focused on fee generation and cost cutting – cost to income ratios have been falling and staff numbers have also reduced. On net interest margins, those banks with a cheap and stable sources of funding (such as China Construction Bank) are enjoying rising net interest margins as interbank interest rates move upwards. We believe that the combination of improved profitability, falling NPL risks and attractive valuations is irresistible, especially as the Chinese banking sector is under-owned by global investors. Regardless of what the bears say. The volatile onshore Chinese market can create opportunities, but exploiting these opportunities requires sharp discipline and a bottom up investment process. 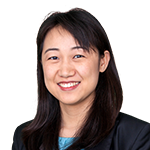 The Chinese onshore equity market, mainly the ‘A-share’ market, has grown into one of the largest in the world, but one that historically has tightly regulated the access of global investors. As a result, the onshore market tends to be volatile due to the short-term sentiment-driven investment behaviour by domestic retail investors and onshore institutional investors. This provides a significant opportunity for disciplined, process-driven, bottom-up investors. This is particularly true during the early stages of market liberalisation, such as is the case with the China. The 4Factor™ philosophy aims to find good quality companies that are cheaply valued, with improving profitability which the market has failed to recognise, while the share price is in a positive uptrend. We focus on finding companies with management teams that have displayed a strong track record of shareholder wealth creation, care about return on capital, display good capital discipline, make sensible investment decisions and have good governance structures. We seek to own these companies when the market is sceptical of their potential future profitability, while disbelieving behavioural evidence of changing profitability. Critical to our philosophy is a disciplined investment process that employs an objective stock screen. This is necessary as there is simply too much information in the market, much of which is just noise and of little relevance to the investment case. The screening process helps us to research only those companies that fit in with our philosophy. In that way we can be focused and opportunistic in an objective and dispassionate way. By using a disciplined, bottom-up approach that ignores market volatility, it is possible to identify compelling investment cases for individual stocks. Often these are in high-quality companies riding the wave of growing domestic consumer growth, or those firms that have taken advantage of Beijing’s policy to encourage corporations to invest abroad and compete on a global scale. Finding these companies may provide a reliable exposure to the Chinese growth story. Does it work in the Chinese market? To shed further light on whether our objective screen could add value over time, we back-tested the process on the Chinese A-share market. We used the screen to rank and divide the universe into quartiles then measured their performance since 2002. This showed significant outperformance for the top-scoring quartile by just following a blind numbers-based approach. This process, along with a talented team of investment professionals running robust qualitative analysis on the top score stocks, are the key inputs that have helped create our long-term track record in Asia and emerging market equities. The outperformance we delivered over the last three years has been significant and the team have managed to add substantial alpha above the blind screen itself. We believe the ability to benefit from a disciplined, bottom-up investment process in the volatile onshore market, creates substantial opportunities for global investors. Investec Asset Management’s 4Factor™ team has been investing in China for 18 years, through our global, Asia and emerging-market strategies. The offshore China market currently represents over 35% of the team’s US$6 billion dedicated Asian mandates. The onshore market has become a major new area of focus for the 4Factor™ team. We started to invest in A-shares three years ago and we are building a Hong Kong-based investment capability. Through this process we have gained a deep understanding of the range and behavioural tendencies of local-market participants, including institutional investors, pension-fund consultants and Chinese retail investors. The retail investor is by far the biggest driver of the market, accounting for about 85%* of the daily market volume. Retail investors typically have shorter investment horizons and tend not to use disciplined investment processes. Instead, they are prone to invest on the basis of thematics, stories and top-line growth, placing relatively less emphasis on a company’s long-term track record, profitability, corporate governance, dividends and valuation. Consequently, retail investors can drive market volatility as we saw in June and July 2015. 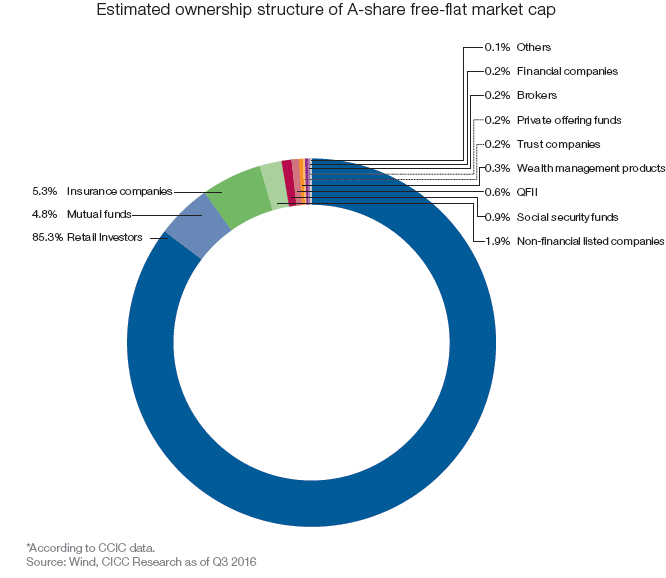 Institutional, long-term savings vehicles such as mutual funds and life insurance companies comprise only 11% of the A-share market, while foreign institutional investors own around 2% of the market. Domestic fund managers tend to exhibit a trader mentality – for example, 500% to 600% turnover ratios are common – as they are evaluated over very short time periods. So domestic managers amplify the momentum-driven nature of this market. The consequences of such investor behaviour create opportunities for those willing to take a long-term view. In this market, price action periodically decouples from company fundamentals. Valuation dispersion, a key measure of when there are good opportunities for active security selection, reached an all-time extreme in 2015. At that point, the ChiNext board on the Shenzhen Stock Exchange – China’s version of the NASDAQ – traded on price to earnings multiples in excess of five times that of the less-exciting blue-chip CSI 300 Index. The sentiment-driven and momentum nature of the A-share market provides a significant opportunity for disciplined, process-driven, bottom-up investors. The 4Factor™ philosophy is to find good quality companies (Strategy) that are cheaply valued (Value), with improving profitability and that the market’s behaviour is anchored in its reluctance to believe this change (Earnings), while the share price is in a positive uptrend (Technicals). We focus on finding companies, whose management teams have displayed a strong track record of shareholder wealth creation, care about return on capital, display good capital discipline, make sensible investment decisions and have good governance structures. We seek to own these companies when the market is taking a dim view of their potential future profitability, while disbelieving behavioural evidence of changing profitability. We believe that the growth potential of the Chinese equity markets is the key to the exciting long-term equity opportunity in China. It provides a compelling argument in favour of larger, long-term allocation to Chinese onshore equities. The domestic equity market in China (Shanghai and Shenzhen stock exchanges, ex. Hong Kong) is already huge, exceeding RMB60 trillion (US$9.9 trillion) in size. This article explores why we think it still has a long way to grow. Stocks are probably still under-represented in domestic retail investors’ portfolios. 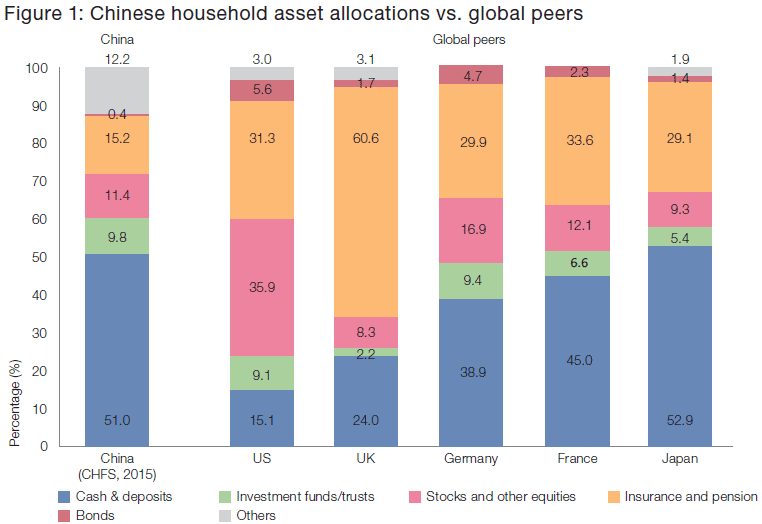 Equities account for about 11% of Chinese household assets and cash 55% (Figure 1). China Household Finance Survey data reveals that the majority of Chinese households held no stock at all in early 2015. Chinese savers’ overall equity holdings roughly match those of Japan and some European countries. However, they fall well short of Taiwan, where retail investors allocate 24% of their assets to stocks. US retail investors lead the way globally, holding over a third of household savings in shares. Domestic institutional investors, such as insurance companies, are also underweight stocks, relative to their peers in Europe and the US. Source: CEIC, Wind, European Central Bank as at Q4 2016, CHFS, China data to end 2015. Note: 1. Household financial assets include cash and deposits, stocks and other equities; investment funds/trusts; insurance and pension; and others. Household total assets also include non-financial assets, i.e. real estate and cars. 2. CHFS means China Household Finance Survey. Chinese investors still don’t trust the local equity market. Having mis-timed investing in the past, they now prefer to invest in property and so-called ‘trust’ products, which are essentially high-yielding deposits sold by banks. But this appears to be changing. The property market is cooling and investors are beginning to question the safety of trust products. This puts the equity market back on the radar. Interest in equities on the part of domestic investors should find support from the continued economic expansion. Although Chinese GDP growth has halved from over 14% annually in 2007 to 6.8% in 2016, this rate remains strong, especially compared to developed economies, where growth has been sluggish. As the economy grows, more domestic savers will have larger asset pools to invest in the stock market. We believe this dynamic will feed the increasing domestic capital flows into the Chinese equity markets. The onshore stock markets will also grow as Beijing allows greater international participation on the Shanghai and Shenzhen stock exchanges. As a larger number of foreign investors allocate a greater proportion of their portfolio to Chinese stocks, the leading index providers are likely to start including the onshore market in their global indices, which should support further capital inflows. As of May 2017, if domestic A-shares were fully included in the MSCI Emerging Market Index, the weighting of China would double to 40.1%. According to an analysis by Deutsche Bank, an additional US$450 billion could flow into domestic Chinese equities upon their full inclusion into MSCI indices by 2020. We believe China’s stock market is poised for substantial growth in the coming years as domestic, retail investors allocate more money to stocks and market liberalisation reforms enable foreign capital to buy securities on the Shanghai and Shenzhen exchanges. In the long term, this trend should help make the market more liquid and less volatile. Currently, we believe the ability to benefit from a disciplined, bottom-up investment process in the volatile onshore market, creates substantial opportunities for global investors. But in the long-term, we believe that the market will become more mature and more widely held, making the case for a rising allocation to Chinese equities in global portfolios. The information may discuss general market activity or industry trends and is not intended to be relied upon as a forecast, research or investment advice. The economic and market views presented herein reflect Investec Asset Management’s (‘Investec’) judgment as at the date shown and are subject to change without notice. There is no guarantee that views and opinions expressed will be correct, and Investec’s intentions to buy or sell particular securities in the future may change. The investment views, analysis and market opinions expressed may not reflect those of Investec as a whole, and different views may be expressed based on different investment objectives. Investec has prepared this communication based on internally developed data, public and third party sources. Although we believe the information obtained from public and third party sources to be reliable, we have not independently verified it, and we cannot guarantee its accuracy or completeness. Investec’s internal data may not be audited. Any decision to invest in securities or strategies described herein should be made after reviewing the prospectus and conducting such investigation as an investor deems necessary and consulting its own legal, accounting and tax advisors in order to make an independent determination of suitability and consequences of such an investment. This material does not purport to be a complete summary of all the risks associated with this Strategy. A description of risks associated with this Strategy can be found in the Prospectus or other disclosure document for the fund or Strategy. Copies of such documents are available free of charge upon request. Investec does not provide legal or tax advice. Prospective investors should consult their tax advisors before making tax-related investment decisions. Additional information on our investment strategies can be provided on request.